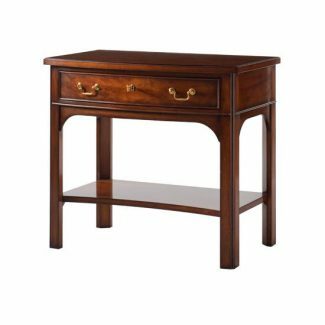 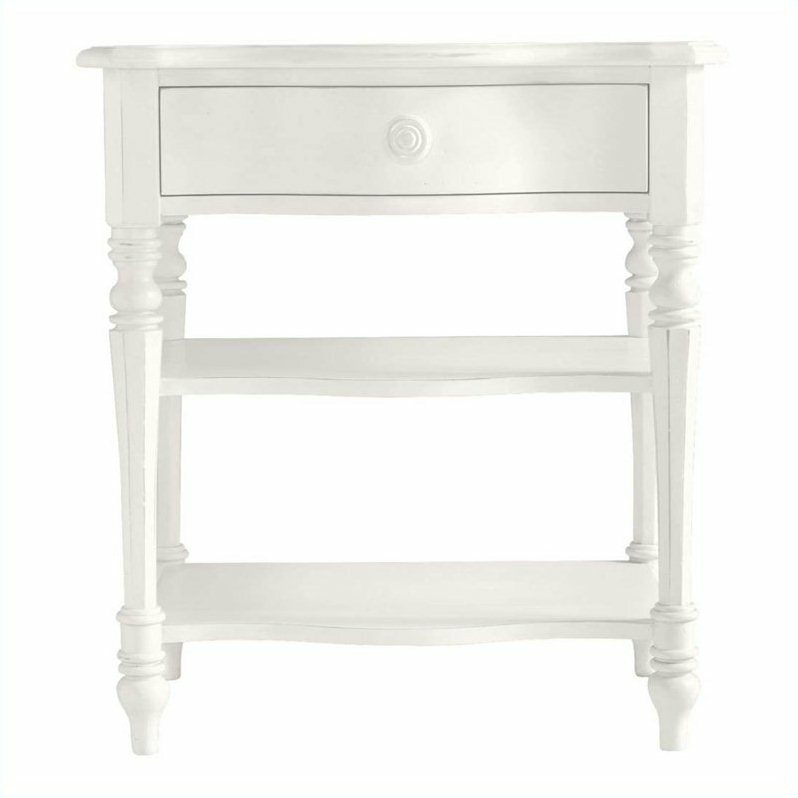 Based on the designs of the late 18th and 19th centuries, the bow front rectangular side table features one large drawer that locks. One low shelf is designed for storage. 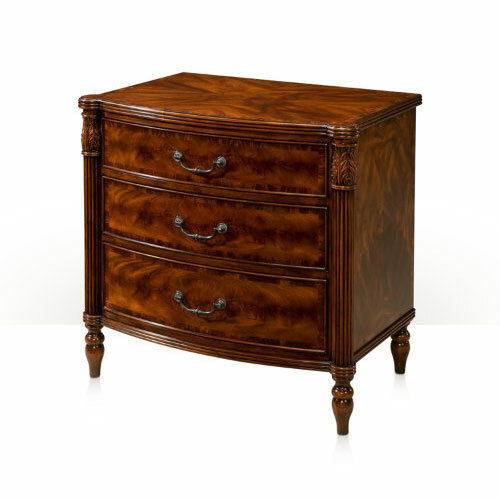 Identical to the 138-043, but made of Mahogany veneers and solids. 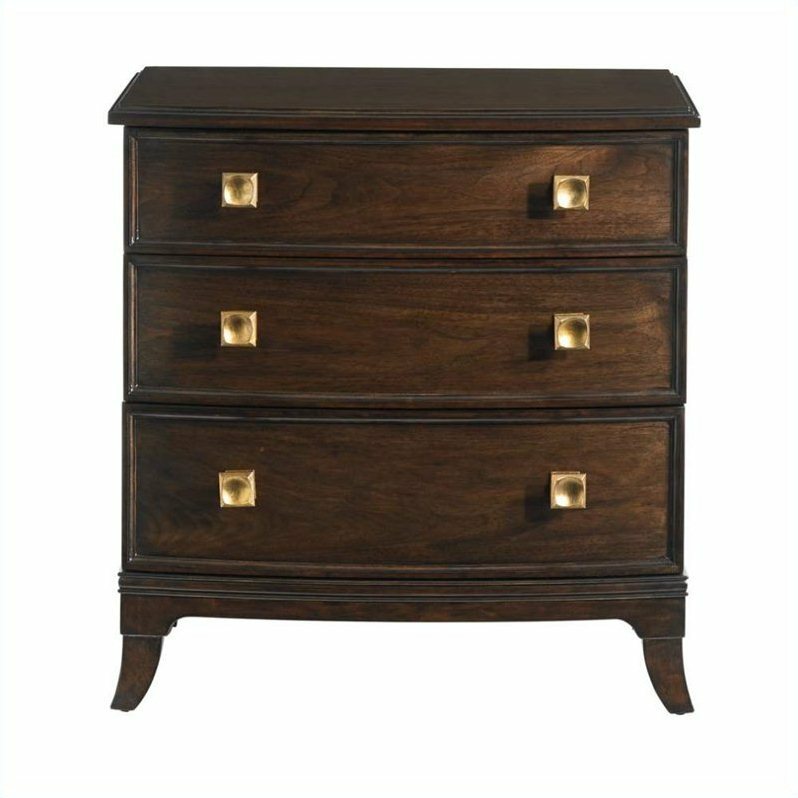 The brass bale pull hardware is distinctive from the Yewood version as well.